Recently we took our World Famous boat, the “WANU” to the boat yard for her annual spa treatment. We went through her inside and out to ensure your short time with us exceeds your expectations and you get the best opportunity at catching fish! And she is just about done and ready to head back to the water to create memories. We are already booking up our Spring fishing season, so if you are thinking of going fishing now is the time to get into the calendar before we book up. I look forward to seeing everyone! Another Jumbo Halibut For Afternoon Trip! Captain Brian running the Swell Chaser and first mate Hale on the back deck on a 1/2 day this afternoon. 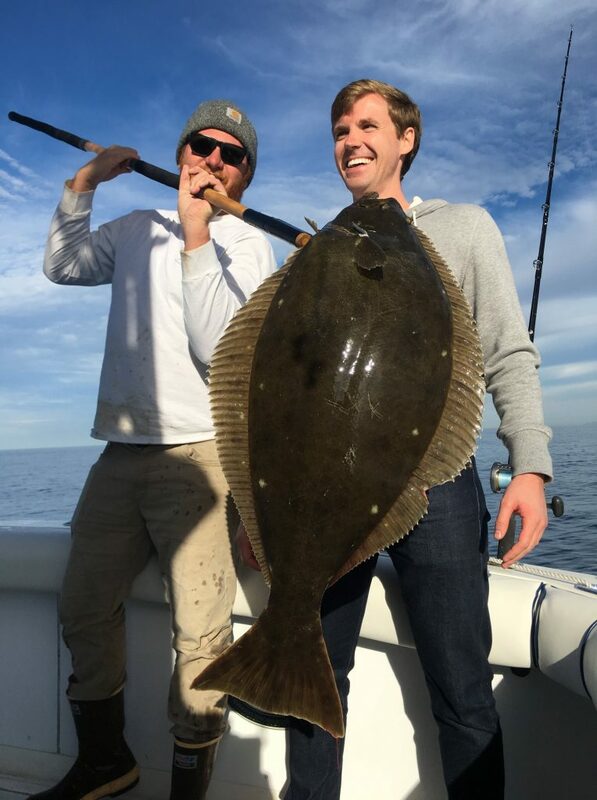 A slowdown in the afternoon fishing still produced a variety of bottom critters and a jumbo halibut. They safely released 7 salmon grouper, 5 rockfish, 2 lingcod, 1 sheephead, 1 whitefish a bunch of mackerel and 1 halibut. They kept 1 jumbo halibut for dinner. Thanks Federic for choosing Coletta Sport Fishing for your fishing adventure. 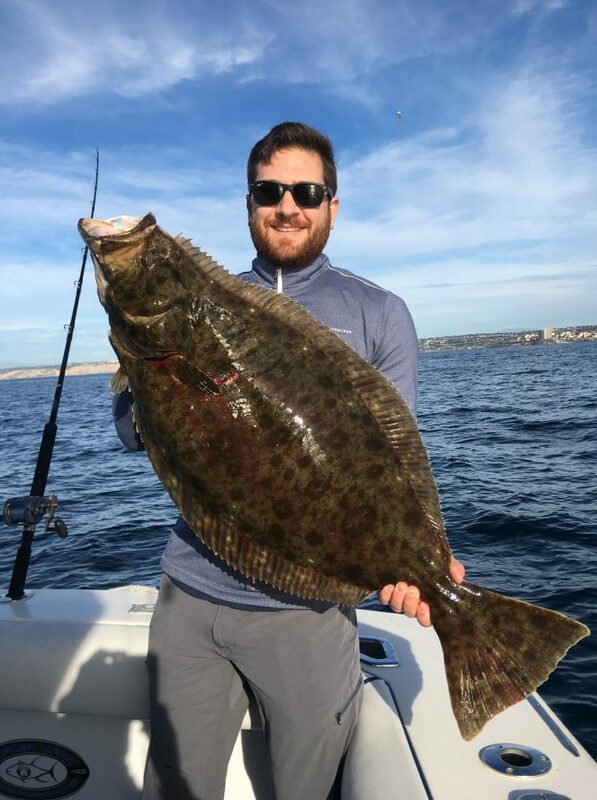 Quality Fishing With A Nice Halibut Surprise! Captain Brian running the Swell Chaser and first mate Hale on the back deck on a 1/2 day trip today. They had a steady pick on bottom fish today with a nice bonus halibut. They kept 1 halibut and safely released 3 lingcod, 6 salmon grouper, 6 rockfish, 2 copper rockfish, 2 sheephead and 2 whitefish. Thanks Martin for choosing Coletta Sport Fishing for your fishing adventure.